Custom printing clothing since 1997, we are experts in high quality printed clothing at competitive prices. With customer satisfaction at the forefront of our company ethos, be sure to get the perfect branded and personalised clothing here. If you are looking for quality custom printed clothing, then look no further, as our bespoke printed and company branded clothing can be suited to any budget or industry. If you want to speak with a member of our experienced and friendly team to discuss a bespoke quote for your company, then please contact us +44 (0)191 222 1344, and we will be happy to help. With a fantastic range of classic and in-trend clothing to choose from including; Headwear, T-Shirt, Polo, Hoodie, Fleece, Sweatshirt, Jackets & Coats, Sweatpants, Trousers & Shorts, Workwear, Safetywear, Aprons & Service, Chefswear, Health & Beauty, Athleisurewear, Performance, Seamless, Base Layers, Sports & Leisure, Bags & Luggage, Kids & Schoolwear, Infants & Toddlers, Knitwear, Winter Essentials, Shirts & Blouses, Suits & Formal, Re-brandable, Sustainable & Organic, Stag & Hen, Loungewear, Women’s Fashion and Underwear & Accessories. Offering a great selection of clothing categories across a large range of industries including; Building & Construction, Band Merchandise, Artists, Health & Beauty, Retail, School wear, Universities & Education, Hotel & Catering, Sport & Leisure, Tech, Medical & Pharmaceutical, Self-Employed, Small Business, Home & Living and The Automotive Industries. We have a great range of printing options for personalised clothing including; screen print, embroidery, dye sublimation, transfer, CAD cut, digital CAD cut, screen transfer. How do I know what print is best for me? Screen Printing: force ink through the surface of a prepared screen to create the design. The ink is applied directly to the clothing garment. Minimum quantities start from 12 units. Embroidery: the process of forming decorative designs using a machine or by hand with thread. Dye Sublimation: using specialised printed ink and heat, your logo designs are dyed into the garments. Digital CAD Cut: vinyl material is printed, then bespoke cut and heat pressed onto the garment. Screen Transfer: design is screen printed onto release paper, then applied with a heat press. Looking for printed clothing for that special occasion? Providing personalised and branded clothing for all types of events and occasions, no event is too big or small for us! Offering bespoke printed clothing for special moments such as; hen-do, stag-do, christening, baby shower, charity events, promotional events, kids parties, fun-runs, teamwear, birthdays and Christmas. 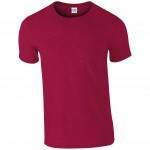 Looking for no minimum order branded clothing? We are delighted to offer no minimum order on all our plain stock items. We can also provide branded dye sublimated, transfer, CAD cut, and Digital CAD cut clothing from one unit. If you are looking for a different print technique with low units, please speak with a member of our team on info@piranhaprint.com and we will endeavour to accommodate your requests. 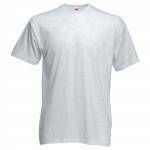 Screen printed t-shirts are a best selling promotional clothing product. This is why we are able to offer fantastic cheap screen-printed t shirts for all industries. Finding a high-quality screen printer near you can be difficult, that’s why we ship to anywhere and have excellent customer services offering you free visuals once you place your order for custom t shirts.